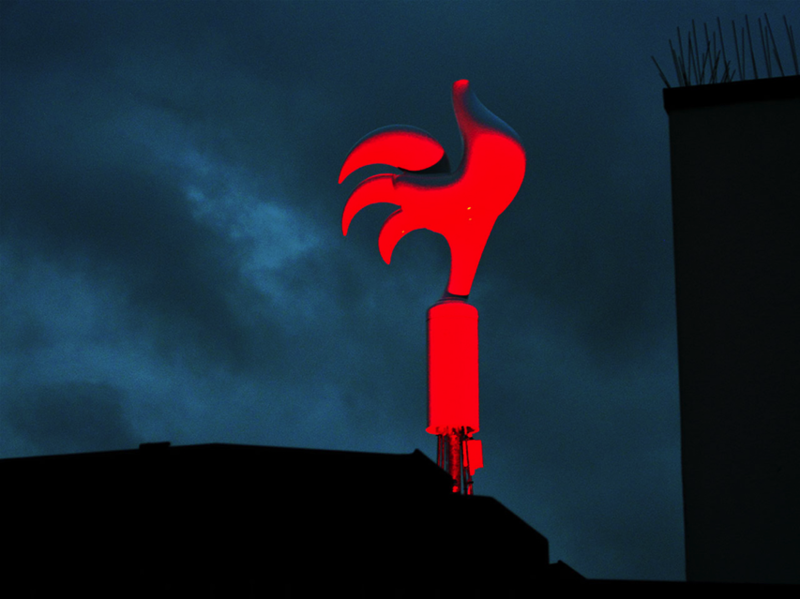 These weather vanes spin when there’s bad news #piday #raspberrypi @Raspberry_Pi « Adafruit Industries – Makers, hackers, artists, designers and engineers! Each rooster also can respond the severity of the threat based on keywords the Department of Homeland Security uses to monitor social media for terrorist threats, and additional keywords that came up during workshops Roofoftwo held with Folkestone residents (they came up with words like race riots, gastro-tourists, unemployment, and dog poo). To create a customized threat level, the Pis consider demographic information, gleaned from census data, about each specific neighborhood’s cultural values. As Reuters stories come in, it spins one to five times, based upon the severity of the threat, and lights up from green (the least threatening) to red (Danger!). Each one always will be slightly different than the other four. To back up a bit: Folkestone’s municipal identity is heavily defined by its geography. The port town is where the Eurostar from Paris first enters the United Kingdom, so “it’s right on the edge to what people would consider Europe,” Charles says. “It’s the first point of call for people migrating and was a strategic place since the Napoleonic area, and for World War I and World War II.” That sense of duality—a town always on the cusp—inspired the Triennal curator to recruit work based on the theme “Look Out,” playing with the idea of looking out onto a horizon. They wanted to build an installation that would give people agency over how the news affects their community, so they added another layer to Whithervanes: by signing onto the project’s site, people in the neighborhood can view the current news item in big, bold type, and then tweet at their local chicken saying either, “#keepcalm” or “#skyfalling.” That collective input will increase or decrease the threat level of the nearest roof chicken. “If you think about if a human being blew at it, it wouldn’t move, but if 22 people blew at a weathervane they’ve definitely got enough force to move it,” Charles says. “They’ve created a localized weather. 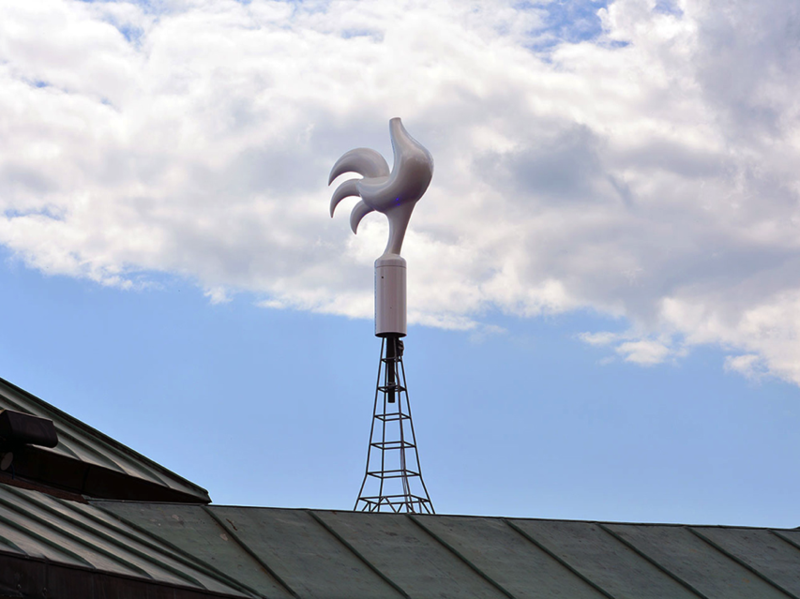 We wanted people to create a localized weathervane.” Once they’ve tweeted, users can also watch a real time animation of all five chickens.